With over 200 different tariffs, multiple options and plenty of providers to choose from, finding the best tariff is not an easy task. Our guide on how to save on your internet bills has lots of handy tips. Fibre is better than ADSL as speeds are higher and it’s more reliable. But is your home covered? 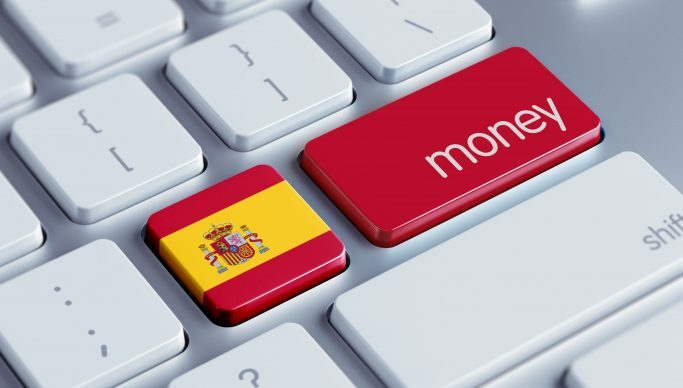 Providers have rolled out fibre to cover a large part of the Spanish territory, but just because you live in a larger town doesn’t necessarily mean fibre will be available at your address. 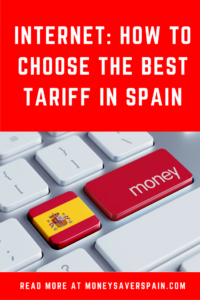 Before you start comparing tariffs, check with neighbours to see which company they use and check Spanish internet provider websites (with your postcode) to see if fibre reaches your home. Who’s Responsible For The Installation? Seems an obvious question, right? However from experience it’s not so easy. New contracts include what providers term a “normal installation”, with a limit on the metres of cable included. Anything additional to the basic amount will be charged on your first bill. Full details are included in the small print when you contract the service. My story: I decided to contract fibre but the installer was unable to pass the cable through our existing conduit. Why? Turned out that a previous owner had filled it with cement! Solving this problem would be quite expensive, as I would be footing the bill, so it looks like I’m sticking with ADSL. What Upload/Download Speed Will I Get? Fibre speeds are as advertised, but if you have to use ADSL beware of the advertised speeds. With current legislation companies are not forced to meet a minimum percentage of the maximum speeds shown on their websites. Most only guarantee 10% of the contracted speed, thereby avoiding claims for breach of contract. The further your home is from the exchange, the slower the speed. A distance of up to 1 km means that a contracted 30 MB broadband package should generally deliver around 25 MB. You can test the upload and download speed, but only once it’s installed. Take a look at Test de Velocidad. What Type of Internet Bundle is Best? Bundles can include one or more mobile lines, TV subscription (Netflix/HBO) and additional services. Decide what you need and limit your search to those packages you will actually use. Introductory offers are very attractive to get you to sign up for additional services, but once you start paying the normal price you may regret your bundle choice. With fibre, bundles tend to be better value. For ADSL you may be able to find a cheaper option with separate contracts. Do I Have To Contract a Landline? Landline use is reducing year upon year, in Spain it’s currently less than 5 minutes per day per line. And yet the majority of providers still insist on including the 20€ (approx.) monthly landline charge. If you never use a landline consider opting for an internet-only contract with PepePhone, Lowi or Orange. As we said at the beginning of this article, with over 200 tariffs that change regularly, special promos, introductory offers and changing technology it’s a question that’s almost impossible to answer. The independent comparison tool, offered by Spanish Consumer Organisation OCU, is occasionally available for the general public (at other times access is limited to OCU members). A comprehensive list of tariffs can be found on ADSLZone and Xataca. You could also use Rastreator or Kelisto, however remember that these companies may promote links, so you need to double check that it’s really the best option for your needs.